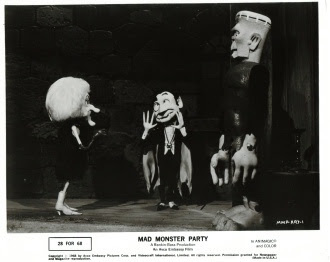 How would you like to see MAD MONSTER PARTY on the BIG screen in 3-D? It is something I had a long discussion about today! I think it would lend itself perfectly to the medium and it is about time the general public learned of this cult classic! 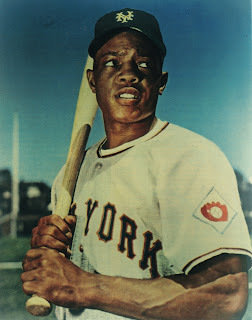 Just got in the RANKIN/BASS ABC SATURDAY SUPERSTAR MOVIE of WILLIE MAYS, THE SAY-HEY KID with episodes of the super RARE show THE TOMFOOLERY SHOW! 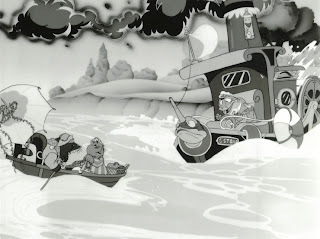 I also have the cel animated special RANKIN/BASS did of WIND IN THE WILLOWS. 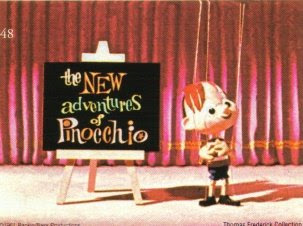 THE NEW ADVENTURES OF PINOCCHIO was quite popular and want to get more of those transferred. 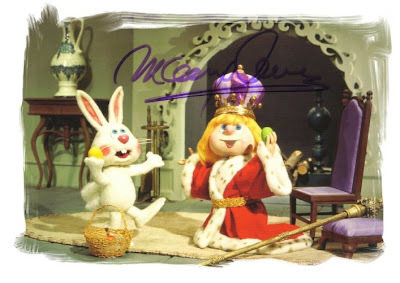 SUNNY & KING BRUCE from THE EASTER BUNNY IS COMIN' TO TOWN. 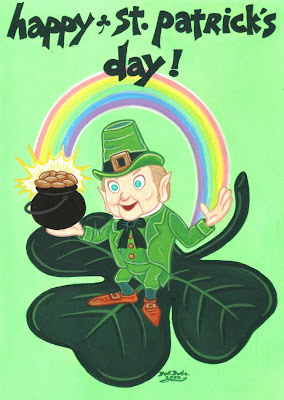 The postcard image is signed by MAURY LAWS (musical composer). 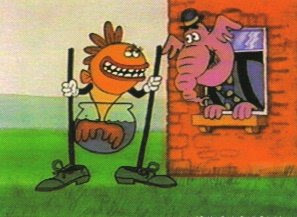 It is too bad the new DELUXE DVD of the special is NOT DELUXE and has no RANKIN/BASS extras THANKS to NEW WAVE ENTERTAINMENT. Could have been something good BUT they were too cheap to pay people. I will be on THE FRANK DeCARO RADIO show tomorrow during LUNCH at 1:15pm Eastern (12:15pm Central time) on the SIRIUS SATELLITE RADIO. 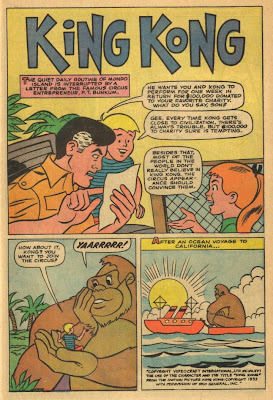 Check http://www.frankdecaro.com/ for more info on his show. 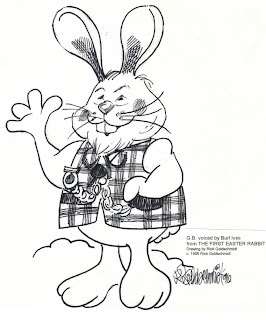 He will be giving away HERE COMES PETER COTTONTAIL DVDs and we will be talking RANKIN/BASS Easter! 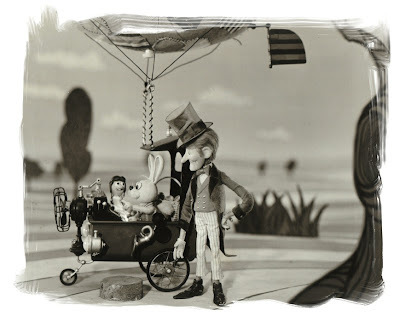 OZ DVD a big hit in MUNCHKINLAND! 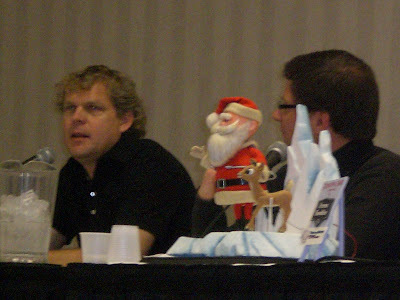 I helped design these ENESCO figurines several years back and www.timeandspacetoys.com still has them! 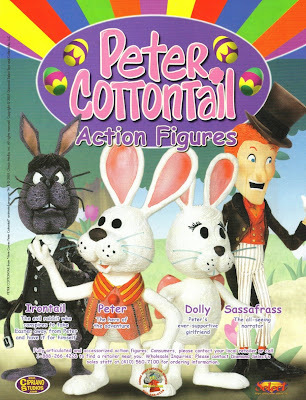 I first met KEVIN at TIME & SPACE by buying one of these large PETER COTTONTAIL dolls (one of the first items of RANKIN/BASS other than RUDOLPH to be released after my first book). 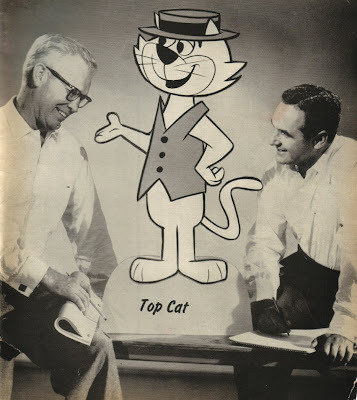 Here is a cool picture of BILL & JOE that I found in one of my DELL magazines of WHO'S WHO IN TELEVISION! 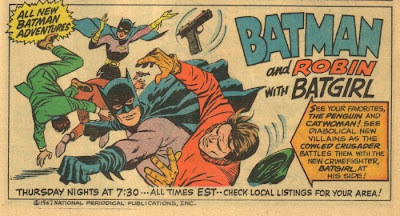 Picked up the entire 1966 BATMAN TV series on DVD today! 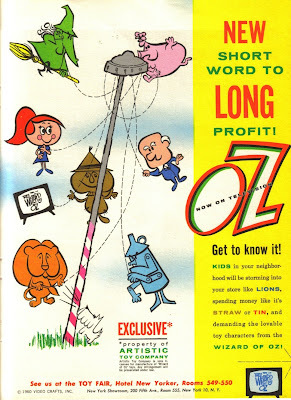 One of my favorite classic shows! 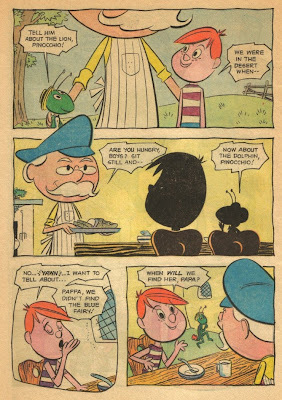 Many RANKIN/BASS fans ask about THE FIRST EASTER RABBIT starring BURL IVES in a familiar role. 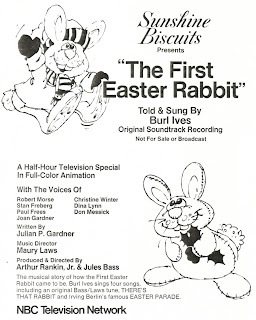 I included a few of the songs on the HERE COMES PETER COTTONTAIL Collector's CD including BURL singing EASTER PARADE and THERE'S THAT RABBIT (A GREAT song written by MAURY LAWS & JULES BASS). 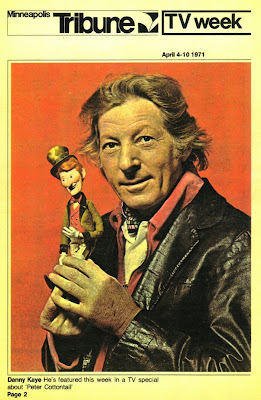 The TV Special has not been released on DVD BUT I am making up a collector's DVD soon. 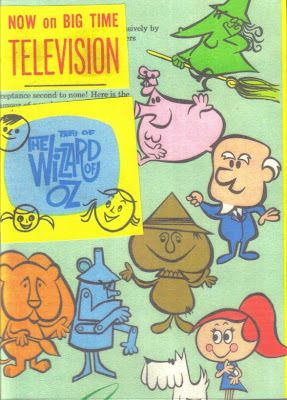 My TALES OF THE WIZARD OF OZ DVD on EBAY is a BIG hit! May have to make future volumes.